This cute little cat light is all wrapped up in a pretty bow, shining soft reassuring light into kids rooms. Puurfect in pink and wrapped up in a bow, this sweet little cat light is ideal for kids rooms shining with a gentle glow. Lit by white LEDs that shine through the pink outer of the cat, this sweet little light by Disaster Designs shines with just enough light to reassure at night without disturbing. 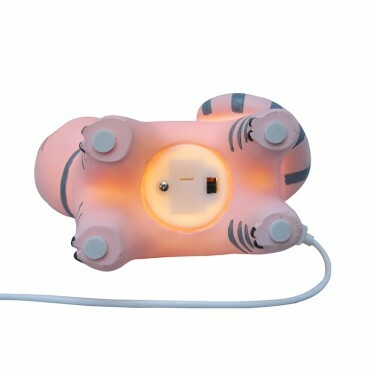 Battery operated (3 x AG13 batteries included) or USB powered (USB cable included), this adorable little cat will add charm and character to children's spaces and can be taken on sleep overs too! Meow! 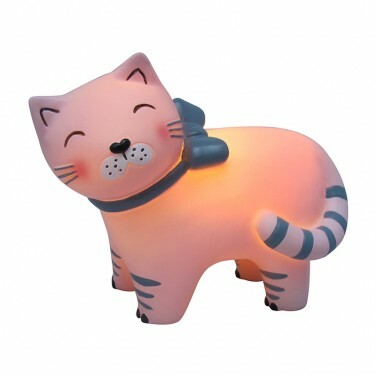 This sweet cat light is ideal for use as a nightlight with a colour change through seven key colours! 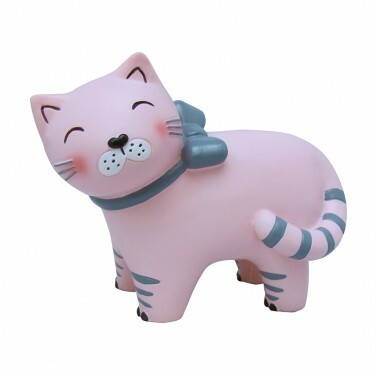 Up the cute factor in your child's room with this adorable Hi Kawaii Cat light! Poised and ready to play, this adorable puppy shines with soothing colour change light to comfort your little one at night. Light children's rooms with a comforting glow from the cuter than cute French Bulldog puppy lamp.